The two authors of the central international agreement that has been responsible for helping post Soviet Russia dismantle its Cold War arsenal are stumping for passage of the new civilian nuclear pact the United States signed with Russia. 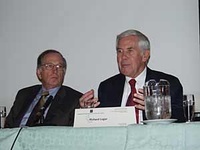 Senators Richard Lugar of Indiana and Sam Nunn, former Senator from Georgia – who were responsible for the revolutionary Nunn-Lugar act, which put US money to work destroying nuclear weapons in the former republics of the Soviet Union – strongly backed the pact in an op-ed piece they wrote for the New York Times. The pact was signed last month between Sergei Kiriyenko, head of Russia state nuclear corporation, Rosatom, and outgoing US Ambassador William Burns. It provides not only for joint nuclear technology sharing, but the building of a nuclear fuel bank in Russia to supply fuel to nations who wish to pursue nuclear power, but do not have the necessary enrichment infrastructure. The pact would also grant the Russian nuclear industry one of its dreams: the right to import spent nuclear fuel which the United States controls – which is about 80 percent of the nuclear fuel in the world. The Bellona foundation stands behind the Nunn-Lugar act, and the continuing efforts of Lugar, as a legislator, and Nunn – who is co-chairman of the powerhouse non-proliferation NGO, the Nuclear Threat Initiative (NTI) in Washington – to reduce opportunities for nuclear proliferation. But the foundation also hopes that their initial message of support for the pact, as displayed in the New York Times, will be modified in future debate to include the overlooked environmental devastation to Russia that could come of the pact. 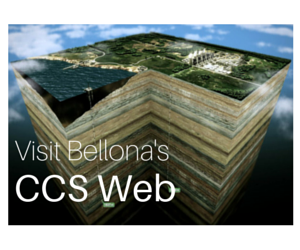 Bellona would urge the senators to look at those auxiliary programmes to Nunn Lugar – like the Arctic Military Environmental Cooperation (AMEC) group – that helped avert possible environmental catastrophe while Nunn Lugar was being realised. Nunn and Lugar go on to argue this by pointing to the issue of Russia’s participation in building Iran’s first nuclear reactor at Bushehr, which is intended to go on line later this year – which has been the central rallying cry in Congress against supporting the pact. Numerous Senators and Congressmen have poured cold water on the agreement, saying that Russia has failed to act in nuclear good faith by continuing to work with Iran, and does not deserve the endorsement of the pact. But Nunn and Lugar say that shooting down the pact would prevent longer-term benefits of deterring other countries from running nuclear programmes right up to the brink of a weapons programme. “(… T)his agreement is the wrong bargaining chip. Rejecting it would, we believe, have exactly the opposite result,” the Senators argue. The senators also say that the creation of an international fuel bank will block other nations from this path by guaranteeing nuclear fuel services, which will undercut countries falsely claiming to want uranium enrichment capabilities for peaceful purposes. The United State and Russia could, say Nunn and Lugar, develop new types of nuclear power plants the increase the difficulty of diverting nuclear materials for weapons. The pact would also allow for sharing technology to improve detection of illicit nuclear materials, as well as enhance international nuclear reactor safety. 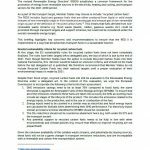 While these are laudable goals – goal which the Nunn Lugar programme and other countries that rallied their own bilateral weapons destruction agreements – the Bellona Foundation asserts that, should the agreement get congressional approval, it must allow for other international agreements that will monitor the environmental health of pursuing the goals of the pact. AMEC provides an excellent example of how Nunn Lugar was able to achieve its goals, specifically in decommissioning Russian nuclear submarines in the northern fleets, by building in a military to military consultation group to help minimise the environmental impact of the excess spent nuclear fuel and radioactive waste this very decommissioning would present. It was not enough, the Pentagon understood as it embarked on Nunn-Lugar to cut up subs and missiles. The waste produced would be dangerous to human health and vulnerable to terrorists. If the pact survives congress, the senators should also redouble their efforts to encourage the development of means by which Russia will handle the generation of new waste that will come from the International Enrichment Centre. The Centre has already received $50 million from US Congress as a matching grant to the $50 NTI has contributed toward the project. 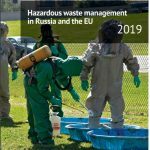 Correspondingly, the amount of nuclear fuel that the Russia nuclear industry has so coveted and will now receive, must be addressed by some subsidiary organisation in the spirit of AMEC if the pact effect is not to turn Russia into the world’s nuclear dumping ground. But there is little in the way of new ideas about how to safely dispose of spent nuclear fuel and radioactive waste. The safest theoretical method so far is deep internment in geological repositories. Only Sweden has come close in research to making repositories work. America’s misadventures at Yucca Mountain only emphasise that the science is inexact and hardly transferable to all geological terrains – and that cost and construction deadlines overruns are an inevitable part of the process. Bellona can join Nunn and Lugar in asserting that two Cold War foes working on a level that puts them into not adversarial idea swapping ideas on how to control proliferation is a charmed and long awaited step. However, Bellona also urges the Senators to reflect on the opportunity that their legislation made possible and see how and where a framework for an ongoing country-to-country environmental study can be put into place to make achieving the nonproliferation goals of the pact as healthy for Russia’s population as they are for the rest of the world. In their opinion piece, the senators rightly note that Nunn Lugar initially had its doubters who asked what Russia had done for the United States to justify US expenditures on dismantling the Cold War arsenal. But over time, Nunn Lugar has become central to world nonproliferation policy. In as much as the groundwork for moving to higher bilateral nonproliferation heights has been laid, so too have the roads to international environmental cooperation. Bellona urges the senators to throw their substantial opinion behind those solutions as US Congress debates the US-Russia civilian nuclear pact this summer.